Hey Everybody – we get lots of questions about gluten in alcohol, and we’re here to set the record straight. 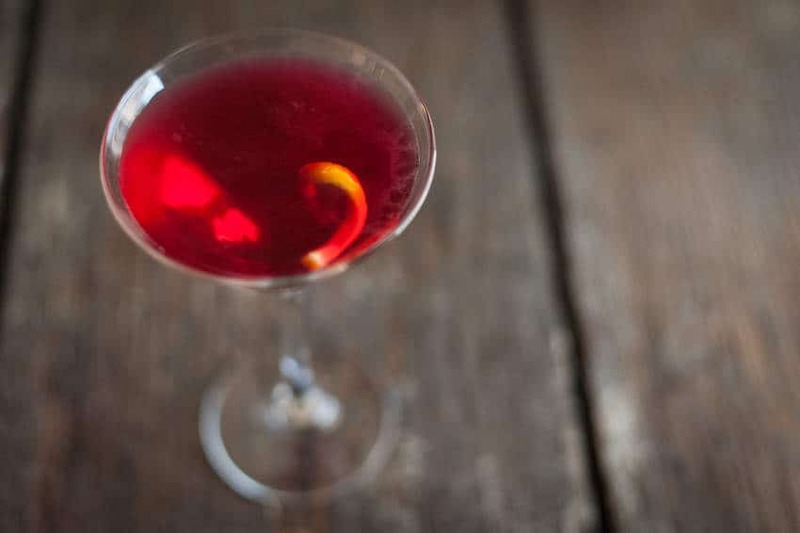 Here’s our Gluten-Free Alcoholic Beverage Guide, plus good information from those in the know. We’ve also added links to some of our articles about specific liquors, so you can really get the 411 on your favorite spirits. First: the general opinion from doctors & Celiac specialists (and science) is that distilled spirits are gluten-free, as gluten proteins are left behind in the distillation process. This does not include flavored (Vanilla Vodka, Peach Schnapps) or blended spirits (X-Rated, Blackberry Merlot, Pre-made Margaritas) – you must check those out on a case-by-case basis (you hear us, Appletini drinkers?) And you know the rule at G-Free Foodie: “If you don’t know, then NO” – choose something else if you aren’t absolutely sure your libation is safe. Here’s a little more info: The European Food Safety Authority considers distilled alcohol “unlikely to cause a severe reaction” in those with grain allergies and the Canadian Celiac Association allows distilled alcoholic beverages for celiacs even if they’re made with wheat, rye, or barley, since “the distillation process should remove the reaction-causing proteins”. However, the Celiac Sprue Foundation recommends no hard liquor from grains containing gluten during the early phases of a gluten-free diet to allow the gut to heal. Liquors distilled from gluten-containing grains include: some Vodkas, Whiskey & Bourbon. Jägermeister – good news, right? You can still have a Surfer on Acid when you need to revisit college days. Cheers to you & your health, from the G-Free Foodie Team. Salute! This entry was posted in G-Free Foodie Guides, Gluten Free Advice + Experts, KC's Blog and tagged celiac health, food allergies, G-Free Foodie Product Reviews, gluten allergy, gluten free, gluten free alcohol, gluten free beer, gluten free beer list, gluten free cocktails, gluten free vodka, where is gluten. Bookmark the permalink. ← Betty Crocker Annouces Gluten Free Baking Contest! I thought Whiskey was a no-no and always contained gluten. Which brands of whiskey are gluten-free? Anybody know about bourbons and scotches? Vodka and whiskey have always made me sick so I am not sure about that… perhaps it depends on the person. What about Sake? Is Sake GF? Sake is Rice Wine, and is normally Gluten Free – read the label thoroughly, especially flavored sake. For those concerned about Whiskey – You may have the best luck with an American Bourbon whiskey, which is made primarily from corn – Maker&apos;s Mark is one to try. Jack Daniels & Gentleman Jack are also Bourbon whiskeys, and there are several small-batch or single barrell options too. This is a great site, thank you….so based on your notes, PEACH SCHNAPPS is not gluten free? It depends on the maker – so we didn&apos;t list it. It&apos;s not that the distillation "kills" gluten, it&apos;s that the distillation process leaves the gluten molecules behind. Therefore all distilled (unflavored) spirits, including whisky, rye, etc., is GF, just as all distilled vinegar is GF. Malt vinegar is not distilled and is therefore not GF. So peach flavored brandy is not GF? I am gluten free and most of the liquors that are produced in the US say distilled from GRAIN neutral spirits… I have problems with all of these… as a rule of thumb I stick to Polish or Russian vodkas made from Potatoes, Puerto Rican rum is from sugar cane, Southern Comfort is made of corn, if it says grain on the label at all I don&apos;t drink it. Even though the distilling process supposedly makes the liquor Gluten Free I still end up with rashes, migraines, heartburn, and such within an hour of drinking only an ounce or two of the "grain neutral" spirits. I wouldn&apos;t chance it. I have the same reaction. I stay away from any alcohol that has grain since it has made me ill.
Is Amaretto or Sweet and Sour GF? I like to drink Amaretto Sours. Be careful with any whiskey&apos;s some will add in a malt during bottling. IF they don&apos;t, it is gluten free but my daughter was affected from a US whiskey we used to cook with. Single malt is usually ok. I think a lot can depend on the individual – some people may react to other ingredients (or the effects of the alcohol) and quickly assume there must be gluten content, when it actually is something entirely different. I am gluten intolerant and I have had what i thought were reactions to gluten with products that Celiac friends are fine with. I test everything that is supposedly gluten free in small amounts just to ensure it works well with me. I too am gluten intolerant (rather than celiac) and whiskey has horrible effects on me for as long as two days after consumption. Vodkas such as Svedka have similar effects, leaving me lightheaded and broken out for days. It is different than just a hangover so I&apos;m fairly sure those symptoms are reactions to the contamination. When in doubt I won&apos;t even risk it with vodkas & whiskey I do not recognize. Sounds like that&apos;s what best for you, Emily! We encourage everyone to make the best choices for their own health! the manufacturer says it is, Terri. Anyone know if Bailey&apos;s Irish Creme is GF? I had problems with Bailey&apos;s and switched when they could no longer guarantee or state their product was GF. I&apos;ve switched to Carolan&apos;s Irish Cream and have not had any problems. Carolan&apos;s states that their product is GF. I had a horrible reaction to a bourbon whiskey after just a few sips. I don&apos;t trust it. I won&apos;t be drinking it again. I have a sensitivity to wheat, barley, yeast and rye. I&apos;ve switched to Ciroc which is made of grapes. No reaction when I drink this. When I have vodka made out of the offenders for me I turn beet red and my face neck and ears are on fire!!!! I also get nasal congestion. I guess everybody has different levels of reaction. I also love Chopan, however, if you have RA you shouldn&apos;t consume Nighshades and potatoes are in that family. I have worked with seawater distillation and would like to add that there is a problem with carryover of the product being distilled into the distillate. Also any molecules with a lower vaporization temperature end up in the distillate unless fractional distillation is used. I have used Skyy Vodka to make my vanilla. It is distilled from grain, but I don&apos;t seem to react to it. It says it has "a proprietary four-column distillation process and a three-step filtration process." I read somewhere that multiple distillation makes it less likely to cause a reaction. It is American-made and I get a huge (1.75 liters) bottle at Costco for under $20. I&apos;ve been gluten intolerant since long before I even wanted to drink alcohol and I&apos;ve found that the distilled liquors are often trial and error for theses who are gluten free. In college bourbon made me sick the few times I tried it (and the girls in my sorority ALWAYS drank bourbon) so I stay away from all whiskey variants. I&apos;ve only had issues with a few vodkas so I try to stay away from the cheapest vodkas and the new vodkas that call themselves "wheat vodkas". Mike&apos;s hard keno nada say all their drinks are GF. How can this be if they contain malt? I hate autocorrect. Mike&apos;s Hard Lemonade it should&apos;ve read. I don&apos;t care about what they "say" about distillation – I Can NOT do any alcohol derived from Wheat, Barley or Rye! This includes (what use to be) my FAVORITE Winter elixir – Whiskey! Believe me – I was in denial for a long time about my reactions – I just didn&apos;t WANT to believe that&apos;s what was causing them…..But, have done a few trials since and these beverages, for me, at least, are a definite No-Go! I react poorly to many wines, and it&apos;s getting worse. Earlier this year I found out many wines either have gluten used to clarify the wine, or gluten paste is used to seal barrels. I emailed many wine producers and supermarkets to ask if they could identify any of their wines that were produced without contact with gluten. Only Waitrose replied, and was able to supply me with a very helpful list. I haven&apos;t had problems with any of the wines I have tried from their list. After adequate experimentation, I&apos;ve discovered that Jack, Jim (especially the varietals) and Johnny give me the gluten experience (despite the likely washout of gluten during distillation). However, I was thrilled to find out that Jamison treats me kindly every single time. I miss Jack more than the other men, but I have transitioned to dear Jamison. It seriously takes experimentation, since everyone&apos;s body and symptoms are unique. Best of luck to all of you. My wife is gluten intolerant and has no problem drinking Tito&apos;s vodka. It is made in Austin TX from 100% corn and is advertised as "Naturally Gluten-Free"
Can you tell me if R & R Whiskey is gluten free, as I belive it is made with blended grains. Correct me if I am wrong. Can you tell me what grains they are using. I am gluten intolerant, and don&apos;t want to drink something that will make matters worse. Thank You. can you tell me if the brand name R & R Whiskey is gulten free. Thank you. Is archers peach schnapps gf? I&apos;m pretty sure that if whiskey and vodka makes me break out in a rash like a lepur, they&apos;re not gluten free. I *was* excited for an actual gluten free list that was truly allergy friendly. I don&apos;t care what the companies say about wheat, barley, malt and rye, I have non-celiac severe wheat allergy and have an instant reaction to whiskey and several others listed above. How about a true serious gluten allergy list for those who must be strict!??? Maggie – a severe wheat allergy is different than Celiac/Gluten Intolerance, as I am sure you&apos;re aware. Gluten is left behind in the distillation process, making these spirits Gluten Free, but you could react to more than the gluten protein if you have a wheat allergy. Please consult your doctor for a list specific to you. In addition to Tito&apos;s (the vodka made from corn in Austin, TX) which gives me the least reaction, I am OK with wines from the Marlborough region of New Zealand, as they are aged in stainless steel instead of oak barrels, so you don&apos;t have to worry about contamination from the paste used to seal the barrels. Most whiskey (especially scotch) contains caramel color, which comes from barley and it is added after distillation, therefore contain gluten. I a bourbon is labeled "Straight Bourbon" then it cannot contain any caramel coloring. Hope this helps! I’m sorry but you are incorrect here. The colour of whisky comes purely from the cask it matures in as the spirit is clear as it comes off the stills. Tequila ? Malbec red wine ? Has anyone found a specific brand of peach schnapps that IS gluten free? I have an awesome summer-time drink that I would love to try but won&apos;t risk it if there is any possibility of it containing gluten. I&apos;m really surprised that no one has mentioned tequila in this discussion. I&apos;ve been diagnosed as gluten intolerant for seven years and eliminating gluten from my life has made a huge difference in my energy level and metabolism. I stick to the GF vodkas (mentioned above), rums, or TEQUILA! It&apos;s a great sipping drink for those that can&apos;t tolerate scotch or whiskey anymore. Having lived in Mexico and tried a number of different tequilas, I think that El Jimador is the least expensive brand that is widely available and tasty to mix or sip- I recommend the repososado. And a BIG shout out to Widmer, out of Portland, OR, who have made GF beer, and I mean REAL BEER, available to those of us who can&apos;t handle the grains. If you don&apos;t know about it, they make traditional beer (not that shite sorghum or corn crap), then take the gluten out of it. Their pale ale is excellent! As far as I know they are the only brewery in the country using this process. Cheers! I am hoping to give my best friend, who is gluten-intolerant and her daughter is a Celiac, a bottle of Cantons fresh-ginger liqueur for Christmas this year. It says it is made with VSOP cognac and French champagne (both GF), and is flavored with Chinese sugared ginger. I can&apos;t find a sight that tells if it is safe, but I hope so because it is delicious! Can you tell me or direct me to a site that can? Jägermeister kicked off MY gluto-meter. For those looking for a bourbon that does not contain ANY gluten grains, Wild Turkey is the the way to go. I&apos;ve been told that it&apos;s corn based. Tequila is honestly your safest bet. However, you must make sure the label says 100% Agave. Cuervo Gold and Silver does not fit that requirement. The Nice thing about tequila shopping is that the manufacturers CLEARLY label the bottle when the contents are 100% agave. You tend to pay a premium, but the selection these days is so broad, that you can consistently find bottles under $20. el Jimador, Hornitos, and Cuervo Tradicional (100% agave) are my go to&apos;s.
Something to consider: drink clear, silver, plata, etc. Tequilas. If your tequila has been aged, it&apos;s been done in a barrel. If you&apos;re worried about cross contamination from barrels, then the clear stuff is the way to go. Zero impurities! Just called Costco customer service and they verified that Kirkland American Vodka is gluten-free. Yippppeeee!!! trying to find out if Leroux apricot brandy is gluten free. Thanks for any help you can provide. There are definitely a variety of details like that to take into consideration. That is a great level to carry up. I supply the thoughts above as common inspiration but clearly there are questions like the one you convey up where crucial thing will be working in honest good faith. I don?t know if finest practices have emerged around issues like that, but I’m certain that your job is clearly identified as a fair game. Each girls and boys really feel the impression of just a moment’s pleasure, for the rest of their lives. Is Ricard Pastis gluten free? you’ll need to contact Ricard directly to find out – we’re not sure! My husband just found out he has to do gluten free so I was just wondering if Newport Gin or Newport Vodka is gluten free I can’t seem to find it anywhere. Also what about Barton’s Gin or Vodka. Thank you!